Need some decent reading material? Tired of words and want some nightmare fuel imagery in a hardcover collection instead? Then sit back and try not to relax too much, because we’ve got just the thing for you. If there’s one universe that I do not ever want to find myself reincarnated into, it’s the galaxy of Dead Space. A reality where a pseudo L Ron Hubbard wasn’t just taken seriously, but also revered as a prophet for a new age of mankind, infectious insanity and guilt permeating the core of everyone around and just straight-up murder-your-face monsters make for a grim future. Isaac Clarke had to endure all that horror in the Dead Space games, before dragging John Carver as his co-op pal into the madness in the third game. Carver, already a broken and angry man by the events of that game, but a man with secrets of his own all the same. And in Liberation, the tale of John Carver is expanded upon. Essentially a story set between the events of Dead Space 2 and 3, Liberation explains just why Carver was essential to the third game. On the planet of Uxor, a red marker lies in wait, preparing to spread the gospel of Unitology insanity amongst those who should know better. Enter Carver, who soon finds himself caught up in events that won’t be spoiled here. The story is a fast one, sometimes too quick for its own good as it introduces and murders off characters at a rapid pace. As an expansion of the Dead Space universe, it answers certain questions but also runs into a stereotypical habit of creating more questions in the process. But while Ian Edington’s writing helps flesh out certain characters while neglecting the rest of the cast, it’s the artwork of this book that really shines. I’ve got an issue with comic books these days, where the artist tends to play second fiddle to the writer. Which is complete baloney. Comic books are a visual medium, and artists don’t get the recognition that they deserve in this modern age, while writers crowd the page with verbose word balloons. 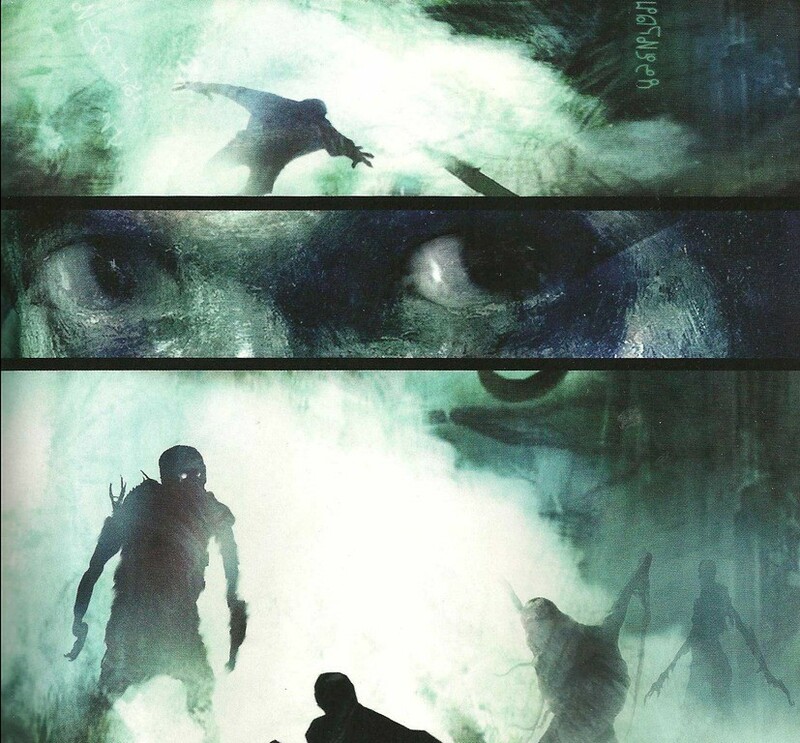 But for artist Christopher Shy, he completely makes this book his own. It’s a mixture of pure art and storytelling, as Shy paints a canvas that can easily shift between mundane and full terror, giving the entire book an absinthe-drenched approach that tows the line between the real word and insanity. If you’re the kind of Dead Space fan who has consumed everything related to the franchise so far, then the minor negatives are easily outweighed by the sheer visual strength of this novel, which finishes off with a strong showing by the entire creative staff at the end. And if you’re not a fan but happen to be looking for something different to read this, then this is still a recommended book. Just don’t leave it on the coffee table. It might scare your friends off. Previous article Is this what next-gen racing games will look like?